One of John's better books in recent history. Takes you back to the kind of story development that made him successful in the beginning. One of his best in awhile. Some of his recent books have been somewhat the same. I enjoyed this one and believe he is back on track. 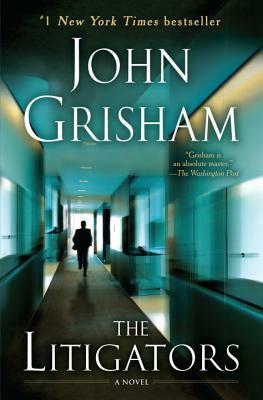 Grisham, from MS, places the action in Chicago for a fast paced jump into the world of big money class action involving a giant drug co. and a killer cholesterol drug. A local seedy "boutique" firm of 2 law partners, their dog AC (ambulance chaser) and a very large black ruler-of- the-roost legal secretary are joined by a fed up with big firms Harvard law grad. Their luck changes when one of the partners lucks into a mother lode of drug victims and their relatives. Fast paced, funny and Grisham at his best resulting in a book you cannot (will not) put down. I consider this one of Grisham's better books. The plot is fairly straight forward without too many deviations and well tied together at the end. The characters are well drawn and realistic. The story line moves at a good pace with lots of well written action.